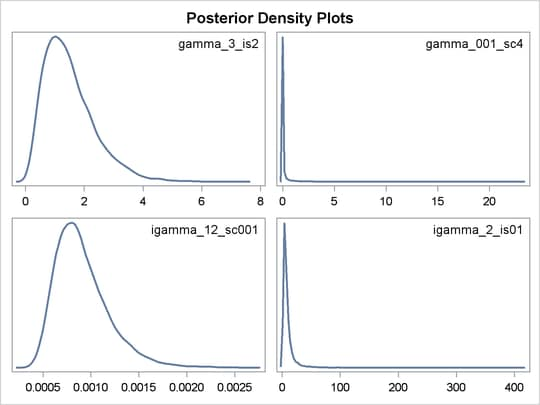 The preceding statements specify four different gamma and inverse gamma distributions with various scale and inverse scale parameter values. The output of kernel density plots of these four prior distributions is shown in Figure 61.19. Note how the X axis scales vary across different distributions.